Auto-Archives recently received the first group of models from the Steven Williams collection that will form part of a significant donation to the archive. Steven Williams has been building and collecting model cars and airplanes for many years now and his collection is one of the most impressive we have come across in quite a while. We are honored that over the next year Steven will be donating most of his collection to Auto-Archives and entrusting us with a group of models that really does tell ‘The History of the Automobile’ in all its forms. There are some truly wonderful models in his collection and, after discussion on just where to begin, Steven made the decision to start with some of his Indy 500 models. 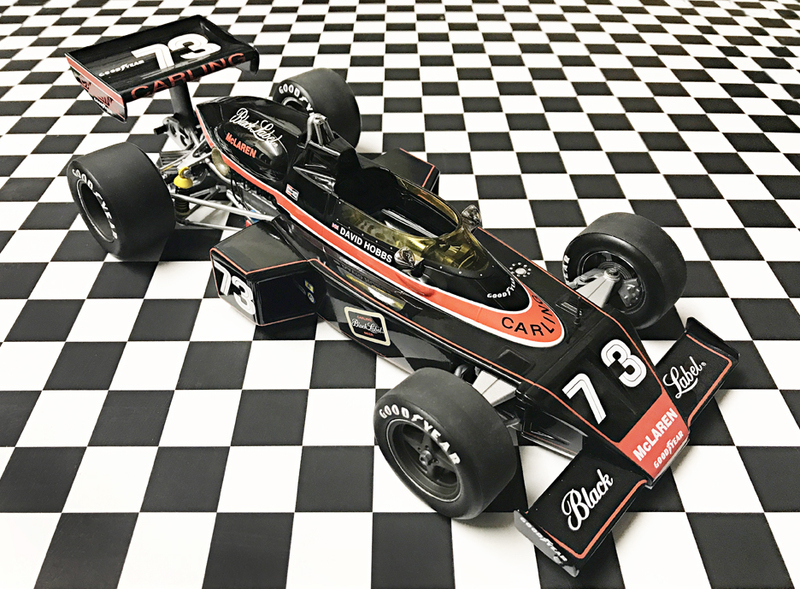 The first batch of 25 models that are now on display at the Hagerty offices in Golden, CO., included this highly distinctive Carousel 1:18 scale model of the Carling Black Label #73 McLaren M16C/D driven by David Hobbs in the 1974 Indy 500. Hobbs started the race in ninth position and although he never led a lap, ran consistently in the top ten and held on to finish fifth, his best result in his four Indy 500 starts. 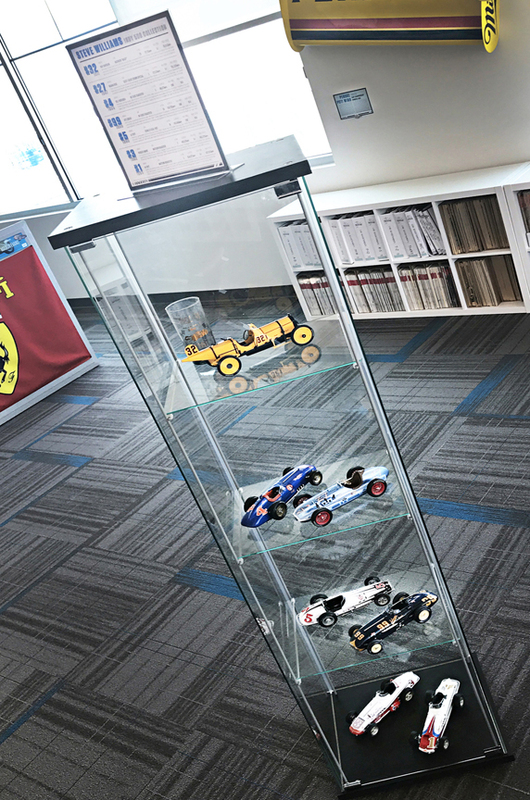 Steven’s Indy models that include the winner of the very first ‘500’, the Marmon Wasp driven by Ray Harroun in 1911, are on display on the Indy themed 3rd floor offices of Hagerty in Golden.